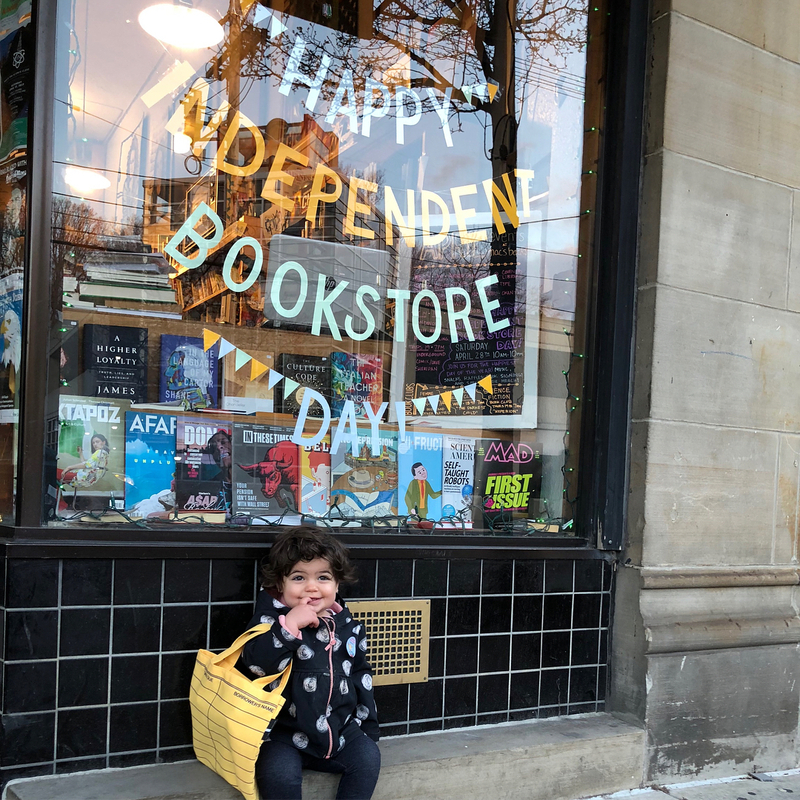 More than 500 indie bookstores nationwide celebrated the fourth Independent Bookstore Day (IBD) on Saturday, April 28, with author appearances, special discounts, activities for all ages, and more. Participation was up from about 400 stores last year. This year’s IBD featured 14 limited-edition items for sale, including Dragons Love Books onesies based on Adam Rubin’s Dragons Love Tacos, illustrated by Daniel Salmieri (Dial Books); a signed special edition of Ungrateful Mammals by Dave Eggers; literary tea towels with quotes from Julia Child and Anthony Bourdain; and a literary map of the universe. Free IBD giveaways included a specially stickered edition of a classic from the Feminism: A Very Short Introduction series from Oxford University Press, a Llama Llama coloring book activity kit, and more. 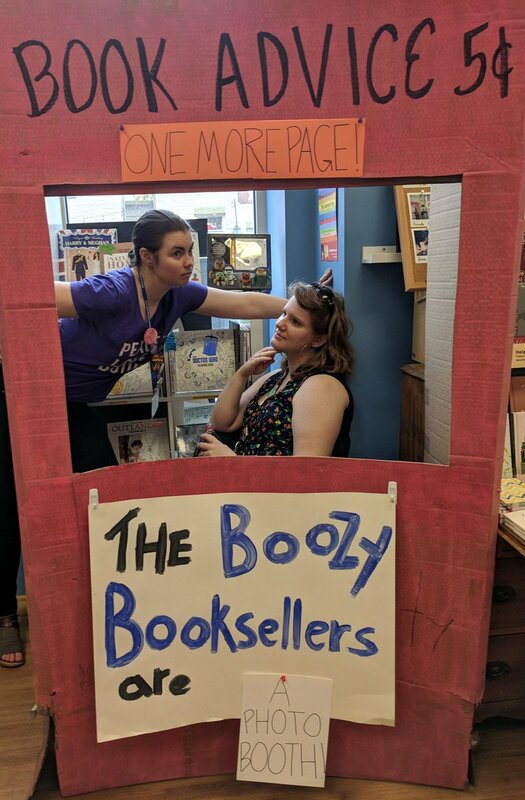 This year, Dave and Suzanne Lucey, co-owners of Page 158 Books in Wake Forest, North Carolina, were celebrating the three-year-old store’s third Independent Bookstore Day in a row. Dave Lucey reported that in 2018, sales were up 15 percent over the last IBD and up about 75 percent over an average Saturday. 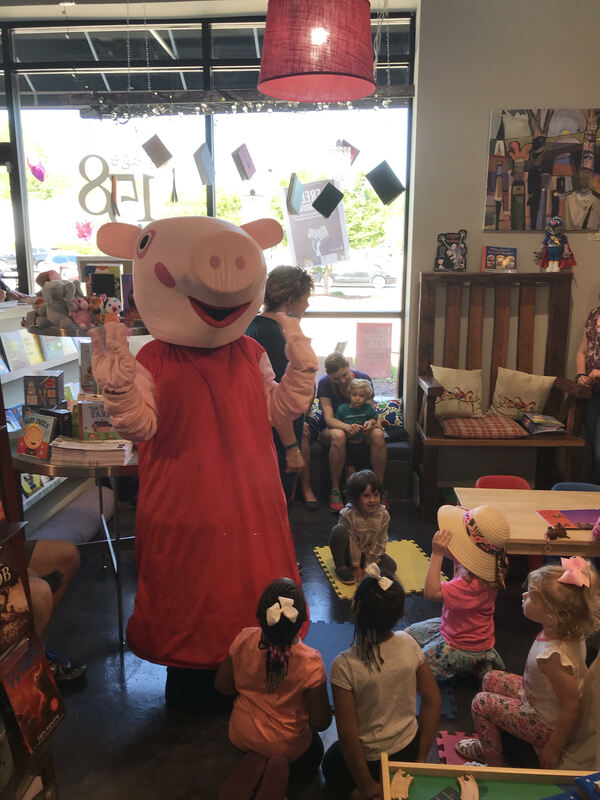 Sixty people attended the store’s story time with Peppa Pig; the day also featured an appearance by Scholastic’s Geronimo Stilton, a round of Harry Potter trivia, a free audiobook offer from Libro.fm, free cookies and chocolate, and a wine tasting to cap off the night. Page 158 also used Independent Bookstore Day to kick off their foray into beer and wine sales with special pricing for the occasion. The store had already been selling coffee and tea for a week, and its liquor license approval just happened to come in the day before after a five-month process, said Suzanne Lucey. 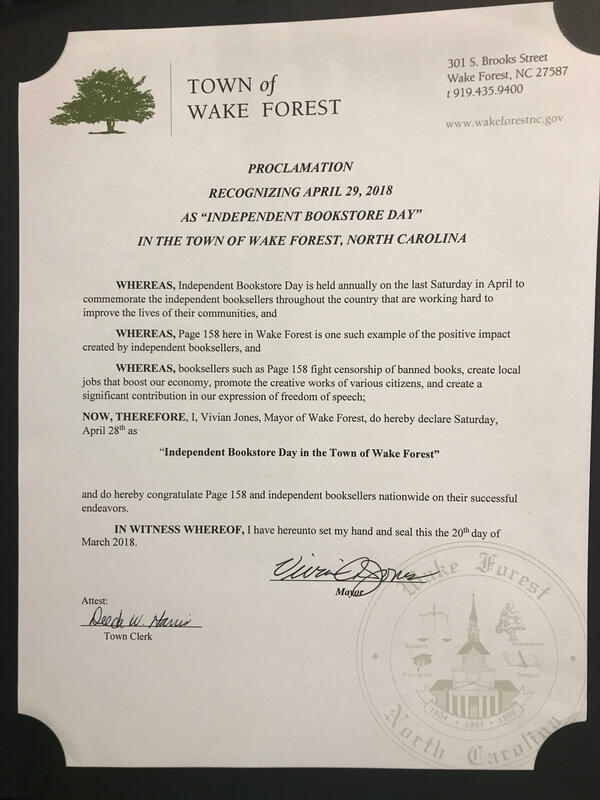 According to Dave Lucey, this year, Page 158 also asked Wake Forest Mayor Vivian Jones to declare the last Saturday in April to be Independent Bookstore Day; the proclamation was written up in the local paper and the store received some great press as a result. The sample text for the proclamation, which can be adapted for any state, can be found here. 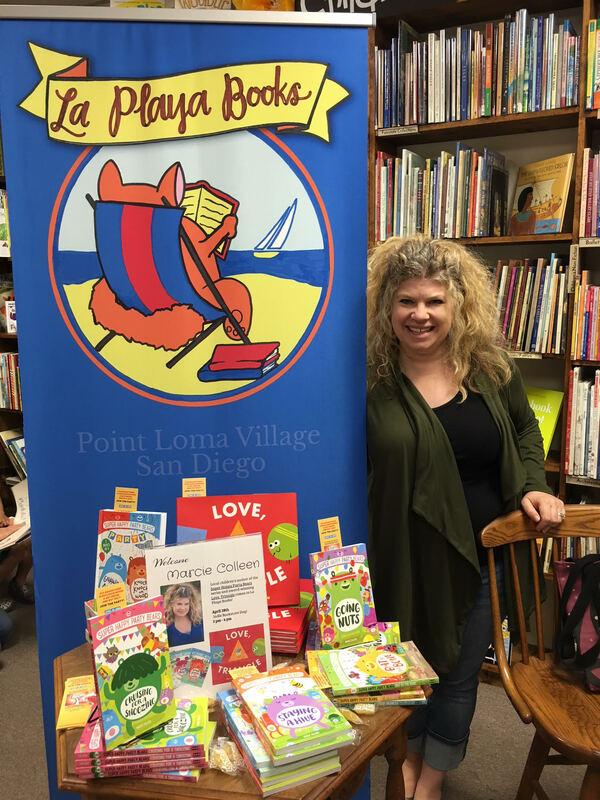 La Playa Books in San Diego, California, was one of nine stores to participate in the first San Diego Bookstore Crawl, an Independent Bookstore Day passport program similar to other multi-store partnership programs around the country, including the Boston Metro Bookstore Day book crawl, featuring 13 participating bookstores; Seattle Independent Bookstore Day, featuring 19 area stores; Chicago’s Second Annual Indie Bookstore Crawl, known as the #MyChicagoBookstore Challenge; the Brooklyn Bookstore Crawl; the Central Oregon Book Quest; the Twin Cities Independent Bookstore Passport challenge; and the Midwest Indie Bookstore Roadmap program. The San Diego program was a three-day affair lasting from Saturday to Monday, said La Playa assistant manager and buyer Mimi Hannan. Customers who made a purchase received a map and a passport brochure, printed with support from the University of California San Diego Bookstore, and anyone who visited four stores got a free tote bag. 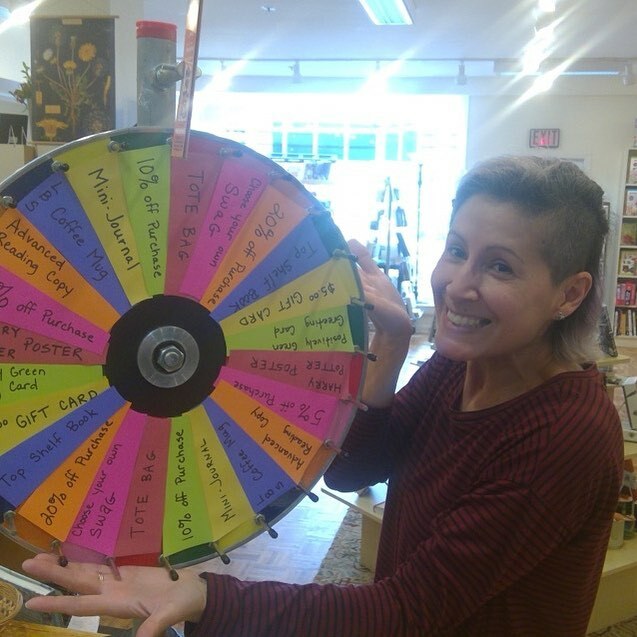 Customers who visited more than four stores were entered into a raffle for a $225 bookstore gift card. 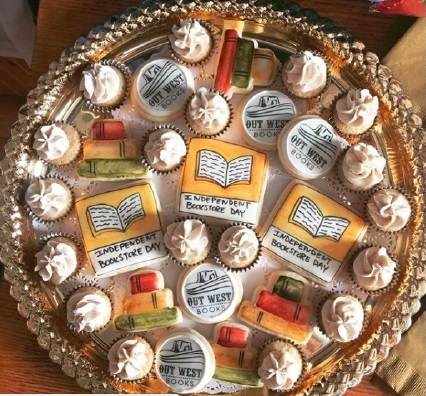 The day also featured free cake and coffee, ARC giveaways, and an event with local children’s book author Marcie Colleen. 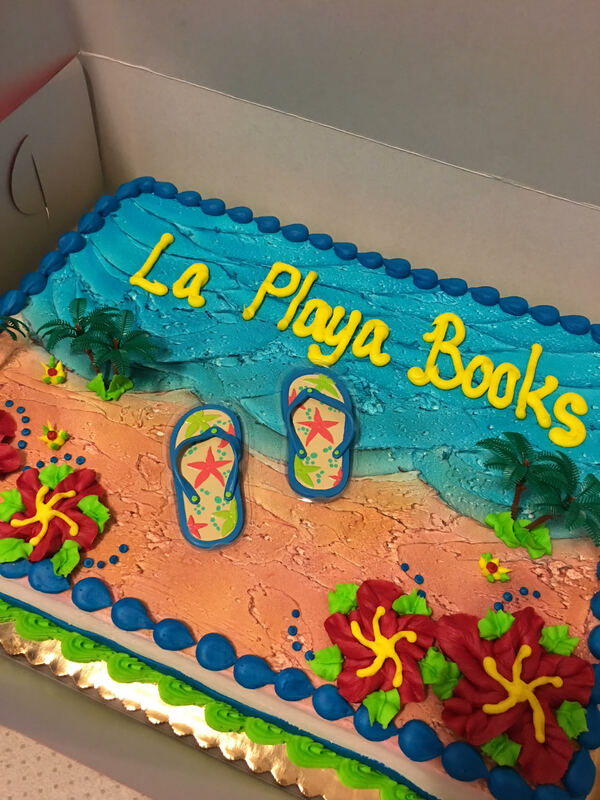 Hannan, who told Bookselling This Week that 2018 was La Playa’s first IBD, said this was the strongest Saturday the store has had since it opened in October 2016, with more than 300 transactions; the sales boost even carried over into the next day. Red Balloon Bookshop in St. Paul, Minnesota, one of the stores that took part in the Twin Cities Passport challenge, featured a host of events, activities, and giveaways to mark the day, including scratch-off cards with prizes, games, story time, and face painting in the store’s Party Room. The store’s “Find John Green” contest was a hit, in which customers had to locate a photo of author John Green somewhere in the store, ignoring the impostors; the winner received a signed copy of Turtles All the Way Down. To advertise the event, staff members dropped off a red balloon with a book attached at different stores and spots around town. Red Balloon’s IBD celebration also featured a performance by the Ramsey Middle School jazz band and a summer camp sampler, where customers got a sneak peek at the store’s upcoming Hogwarts Prep and Secret Identity summer camps. 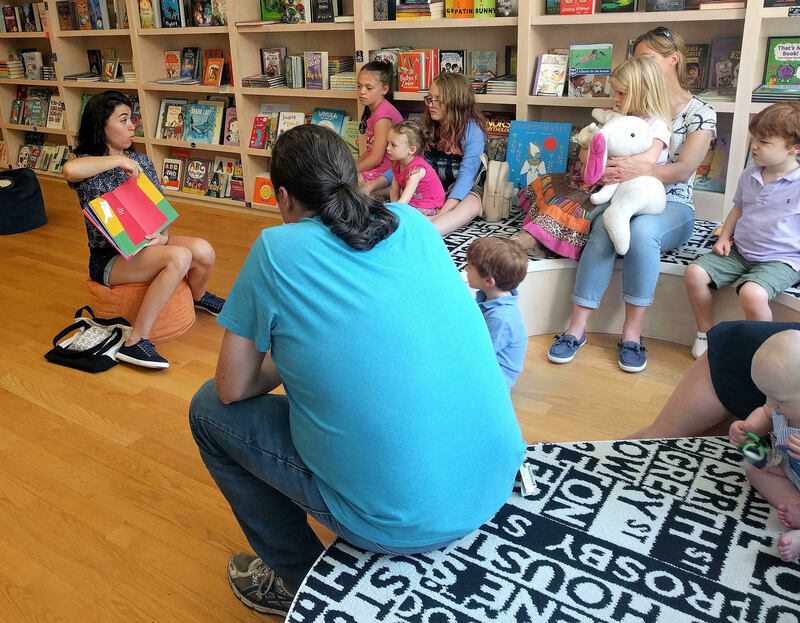 Tori Tucker, the event manager at The Toadstool Bookshop’s Keene location, said the New Hampshire store, which also has locations in Peterborough and Milford, welcomed a good turnout for Independent Bookstore Day as well. 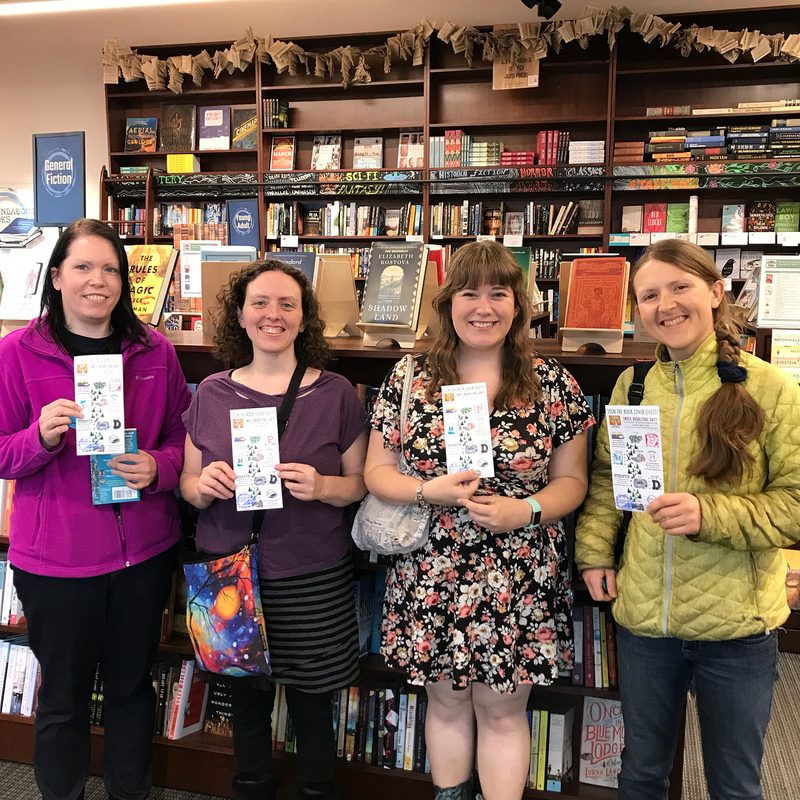 In addition to bringing in local authors Sandra Neil Wallace (Between the Lines, Simon & Schuster/Paula Wiseman Books), Rachel Stearns (Now Is Forever, Snowy Day Distribution & Publishing), and others, Toadstool also hosted a cappella group Chock Full O’ Notes from Keene State College. Tucker said the day started off with a story time, followed by a book signing with Circus Smirkus coach Jackie Leigh Davis, who did some juggling and demonstrated DIY circus tricks from her new book, DIY Circus Lab for Kids: A Family-Friendly Guide for Juggling, Balancing, Clowning and Show-Making (Lab Series) (Quarry Books). Moe’s Books owner Doris Moskowitz said that the Berkeley, California-based store’s 2018 celebration was surprisingly well-attended, despite the fact that the Bay Area Book Festival coincidentally fell on the same day. Moskowitz, daughter of founder Moe Moskowitz, said that in order to capitalize on both opportunities, Moe’s created a mini-store at the festival, where staff encouraged people to stop by the store on Telegraph Avenue on their way home. 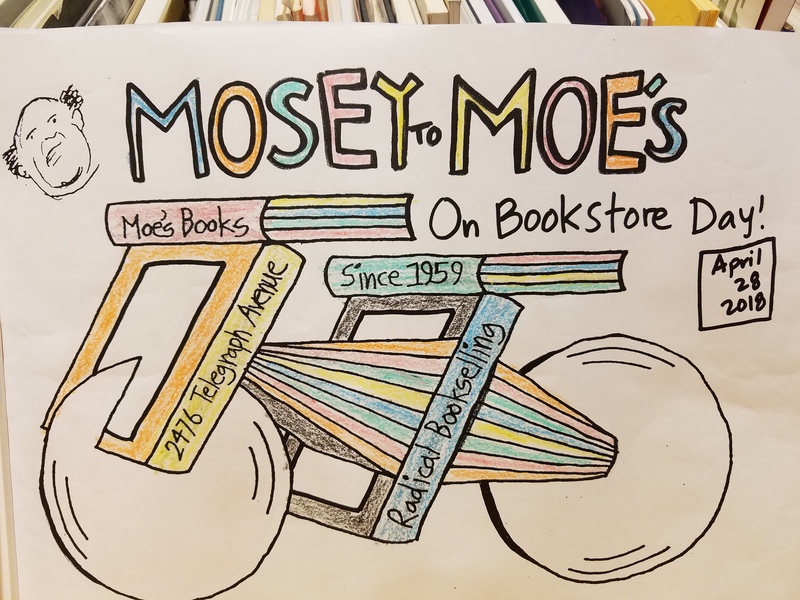 At the store in the days prior and at the festival booth, staff gave out sheets for a coloring contest; the design featured a bike made out of books that said ‘Mosey to Moe’s.’ “We’d never done a coloring contest before and we didn’t know if we would get a ton back. 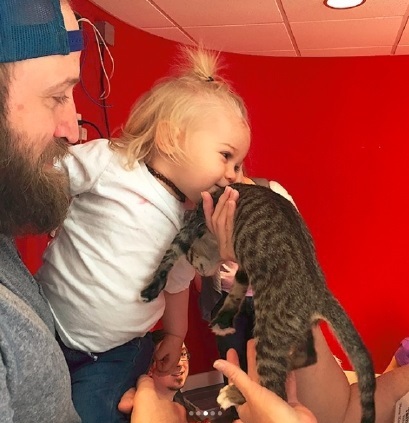 We got a few, but the people who returned them were really happy,” said Moskowitz. 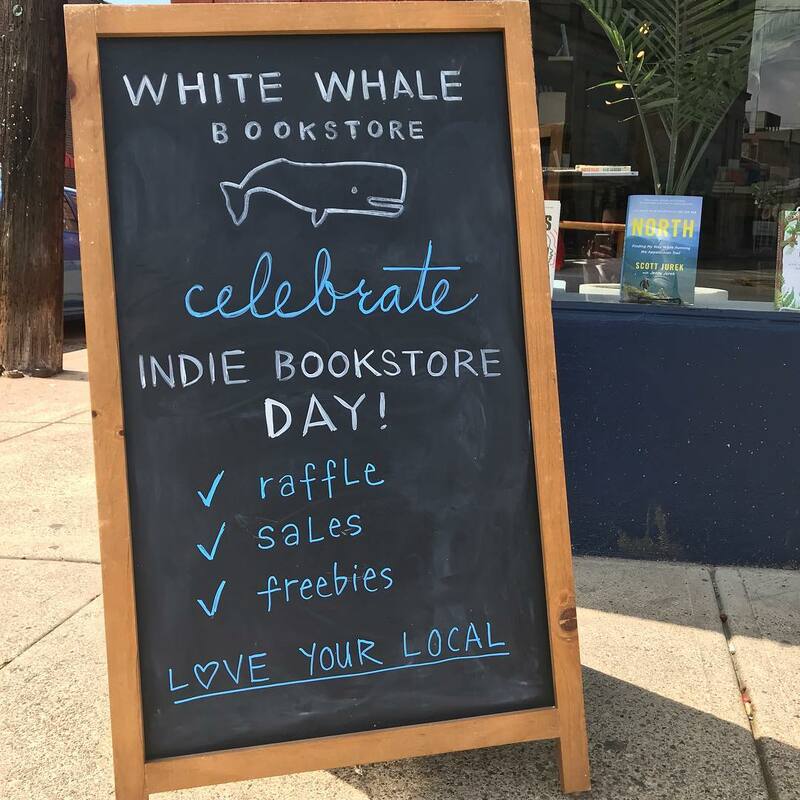 White Whale Bookstore in Pittsburgh, Pennsylvania, gave customers 20 percent off used and signed books on Independent Bookstore Day, while those who made a purchase of $50 or more were entered into a raffle. Customers also received freebies like ARCs, special bookmarks, and other book swag with any purchase. 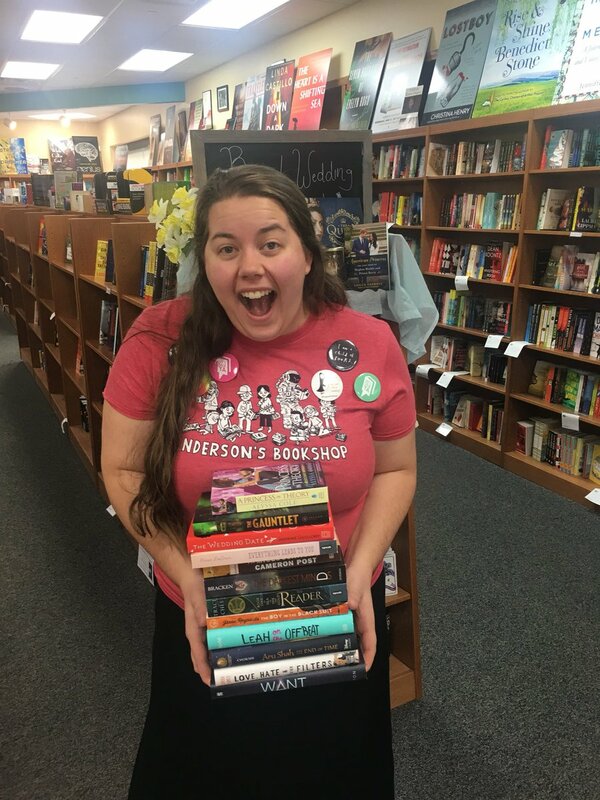 Cassie Clemans, owner of Roundabout Books in Bend, Oregon, said the store’s celebration of Independent Bookstore Day tallied more than 100 transactions, with around 200 people visiting the store that day. 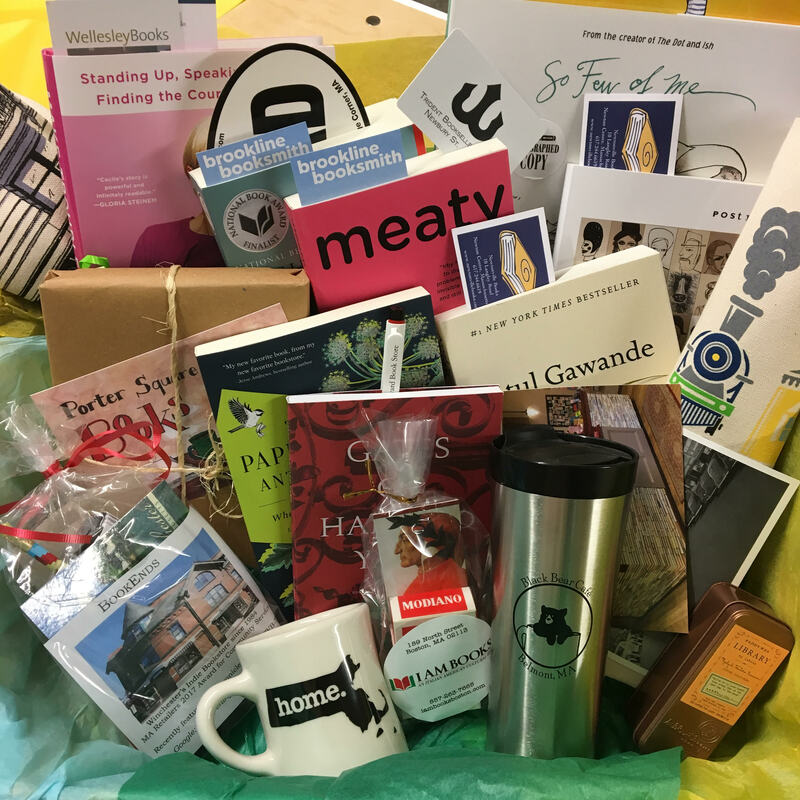 “Our sales increased by 63 percent over last year, although about half the percentage increase was due to an off-site author event where we sold books for Margie Witt at the Oregon Women’s Veterans Conference,” said Clemans. In addition to several authors in-store, Roundabout also offered a Dr. Seuss buy two get one free promotion, IBD exclusive merchandise for sale, and 10 percent off all books in the store. 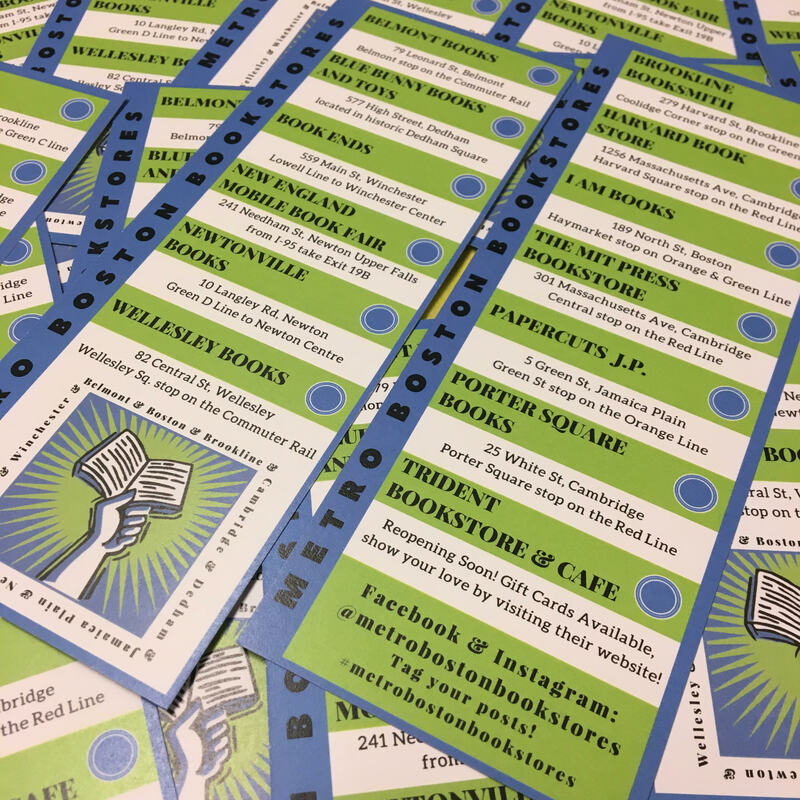 But they were most excited about launching the first-ever Central Oregon Book Quest, said Clemans, which offered customers the chance to earn a 30 percent off coupon good for the next six months at any of the participating stores. 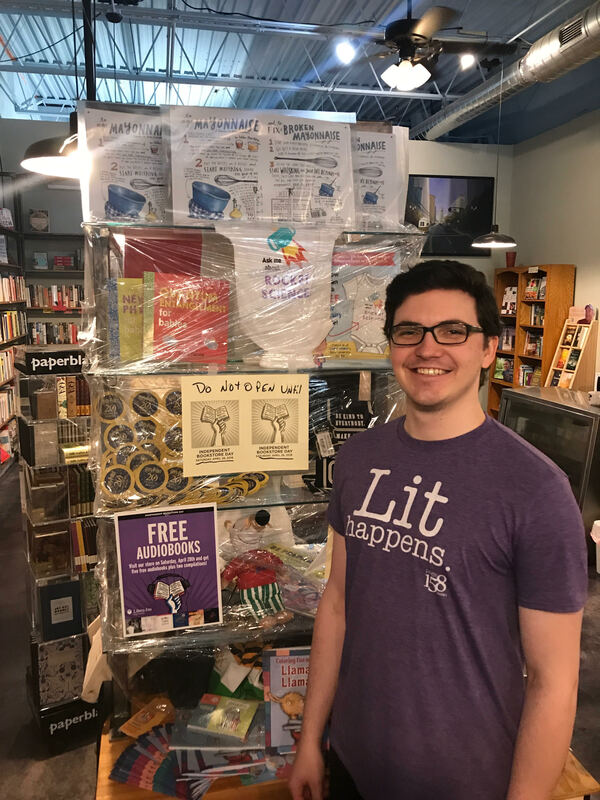 In Dallas, Texas, Interabang Books, which opened its doors in July 2017, was celebrating the store’s first Independent Bookstore Day. 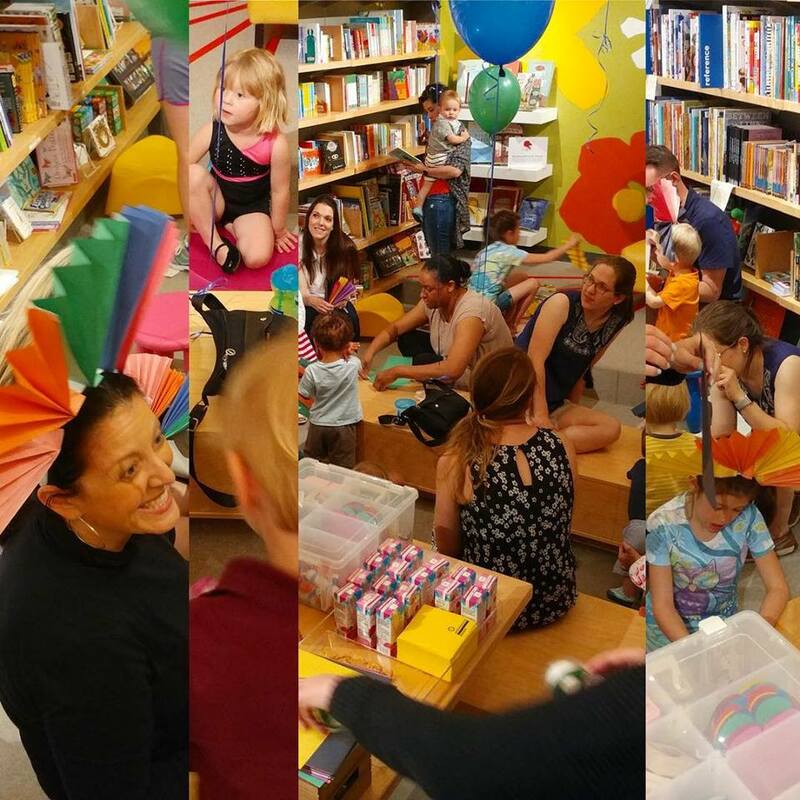 Interabang’s celebration featured a 90-minute extended children’s story time they called “The Mane Event,” featuring live ukulele music, a reading of Henry and Leo by Pamela Zagarensky (HMH Books for Young Readers), a lion mask and mane-making craft, and a roaring contest. In terms of promotion, the store ran its first print ad in the Dallas Morning News on Saturday, and Hall told BTW a good number of customers cited the ad as the reason they came in. 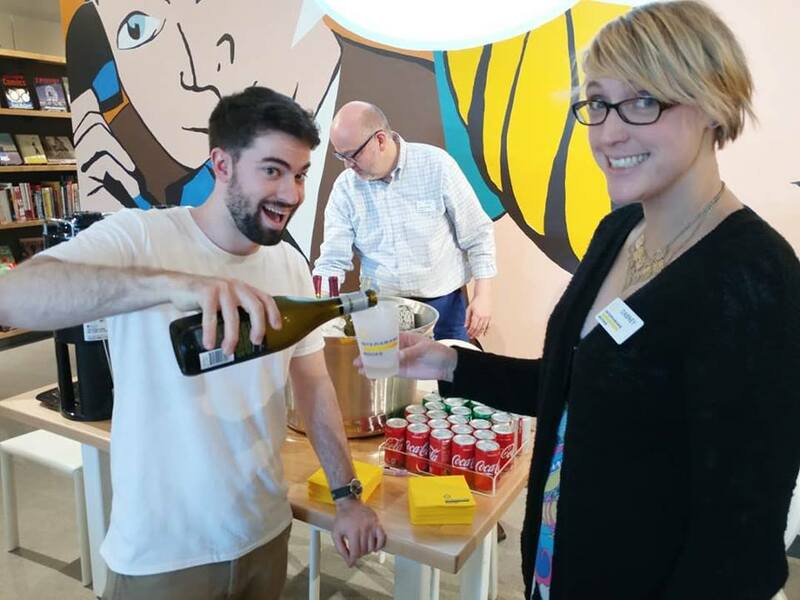 The day ended with a happy hour in the late afternoon, with complimentary beer, wine, and soft drinks, which brought in another rush of customers. 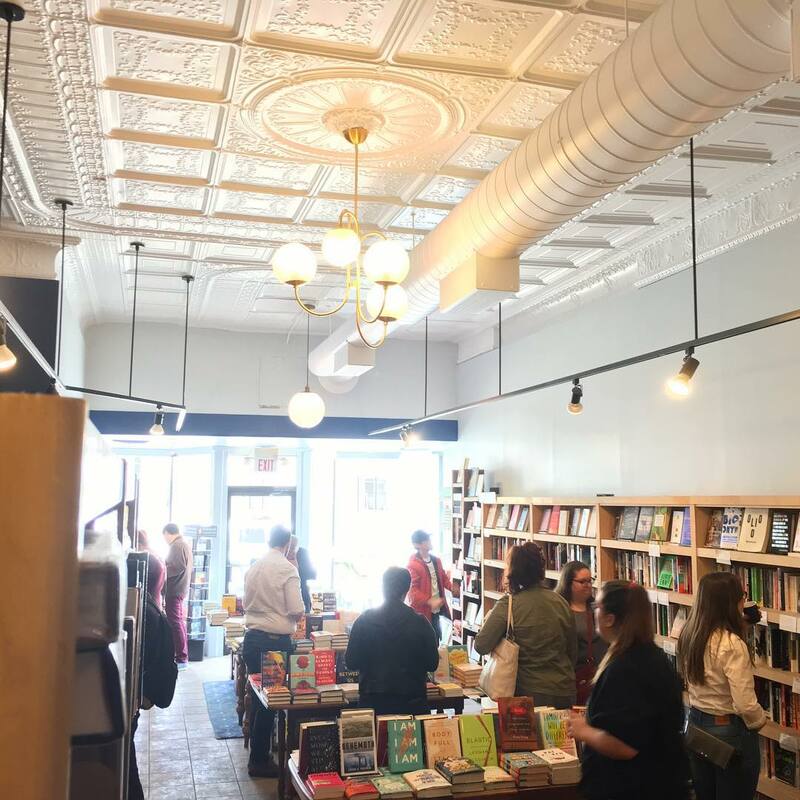 In Detroit, Michigan, Source Booksellers owner Janet Webster Jones created a special in-store opportunity on Independent Bookstore Day where customers could stop and record their bookstore experiences in one of three ways. Source’s celebration of Independent Bookstore Day also featured a sale on the store’s photography books, a free reusable bag with the purchase of a book from the Feminism: A Very Short Introduction series, and free Independent Bookstore Day stickers. 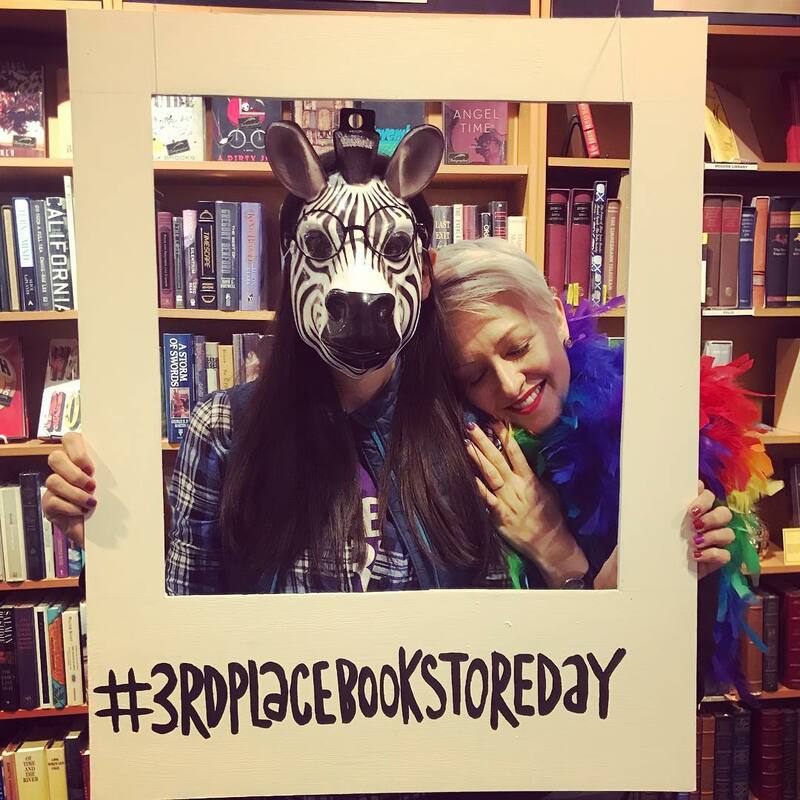 Bookstores that participated in Independent Bookstore Day are asked to fill out a survey by midnight on Thursday, May 10, to let organizers know how the day went. The survey takes about 20 minutes to complete; one survey per store may be submitted. Booksellers are also invited to send their best photos from Independent Bookstore Day to IBD@NCIBA.com.